Osram Opto Semiconductors has launched its infrared (IR) packaged LED chips, or what the company names IREDs, with six new models in the Oslon Black family. The latest automotive led chips include models with different spectra and beam patterns to be widely suitable for both interior and exterior cabin lighting applications. The cabin applications are covered by convenience features while the exterior applications are mainly safety targeted. IR LEDs are still developing to be used for many applications. For example, Osram launched a 940-nm family earlier this year that, when paired with a camera, can enable facial recognition as a biometric tool to make access to a PC or smartphone. And last year the company introduced IR LEDs to use in virtual reality headsets. 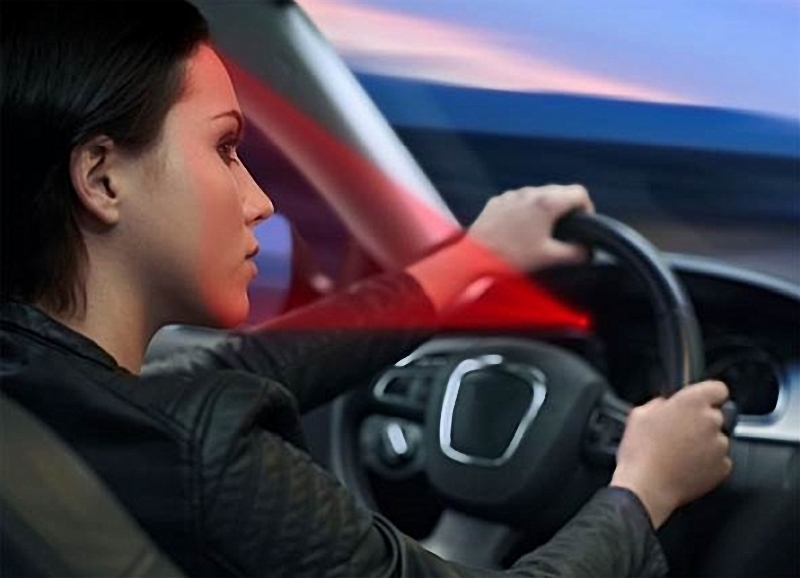 Infared LEDs can detect driver eyesights in the car. The new Oslon Black LED package similarly focus specific applications through a carefully-engineered spectrum and accurate beam control enabled by the integrated lens or primary optics. Actually, the company expects the LEDs to be ued in many automotive light applications without the need for a secondary len. That scene enables low-profile installation of the components in narrow spaces. The exterior-targeted models cover the SFH 4715AS A01, SFH 4716AS A01, and SFH 4717AS A01 LEDs with beam patterns of 45 degrees, 75 degrees, and 25 degrees, separately. All three LED chips can make output at 850 nm. At that point in the radiometric band, drivers would see a red shine from those LEDs. Other applications would include detection of pedestrians, lane departure detections, and even night vision. All would enable a safer environment for the passengers of the car, for pedestrians, and for drivers of other vehicles. The Oslon Black IR LEDs are designed to achieve advanced interior and exterior lighting features in the car. The IR LED chips that focus in in-cabin applications emit at 940 nm, and at that point in the spectrum would not be visible to humans — and would not be disturbing in any way to the driver. Important features include gesture controls for convenience and monitoring of interior cabin activity. The LEDs could also monitor the driver for signs of tiredness or other possibly dangerous conditions. The SFH 4725AS A01, SFH 4726 A01, and SFH 4727AS A01 LEDs also have beam patterns of 45 degrees, 75 degrees, and 25 degrees, separately. The high-power LED chips in both the interior and exterior sectors achieve as much as 2W of radiometric power when driven continuously. 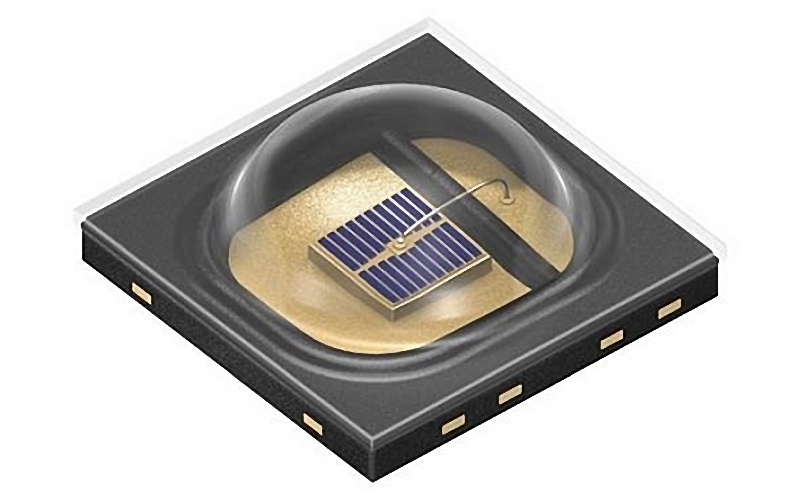 Osram said the LED chips can be driven at 5A in pulsed mode. Osram Oslon Black IREDs — with their high intensity and pulsing capability — provide the building blocks to improve road safety for drivers and pedestrians. Designed with compact sizes and for applications inside and outside the vehicle, the IREDs provide engineers design imaginations, as well as the ability to take a complete approach to driving environment sensing. The automotive LED lights sector is still much important to Osram, both for IR LEDs and more broadly for LED lights in the visual range for interior and exterior applications. Success in the vehicle led market is a major factor for Osram to secure its high-ranking position in the line of packaged LED. By the way, some of Osram latest visible LEDs for automotive led lights applications cover the Smartrix modules announced last time for adaptive drive beam headlamps. Now Osram has also worked with partners on a hybrid circuit/package that integrates 1024 LEDs with driver electronics for even more dense adaptive-beam capabilities.